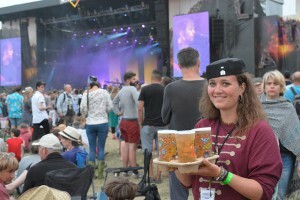 How do you fancy adding something amazing to your summer by coming along to Latitude or V Festival for free and volunteering with Child.org as a Charity Concierge? You will be doing one of the coolest roles on site; pitching tents, driving buggies, delivering breakfasts to tents and drinks to the festival goers in the main arena. You’ll get plenty of time off to enjoy the festival, meet some great people and be a part of raising an incredible amount of money for Child.org and KickStart Ghana. For more information check out the Charity Concierge website. By signing up through this link KickStart Ghana will receive a £50 recruitment fee from Child.org. So by volunteering you get to help two fantastic charities!